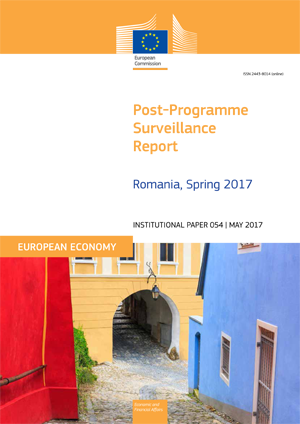 This report by the European Commission presents the findings of the second post-programme surveillance mission to Romania and identifies remaining challenges for the Romanian economy. Institutional Paper 054. May 2017. Brussels. PDF. 32pp. Tab. Graph. Bibliogr. Free. Information about financial assistance programmes for Romania from 2009 onwards, and about post programme surveillance.